I always enjoy doing jigsaw puzzles when I do them. Although I have to admit I rarely do jigsaw puzzles these days. 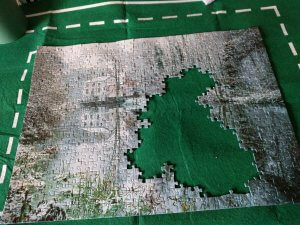 I think before I started this one I have only done one other jigsaw (that wasn’t a child’s one!!) in the 4 years that we’ve been living in this house! And that jigsaw took Chris and I several months to complete! For Christmas I got a super exciting present. A jigsaw mat, so that I can start a jigsaw, and then just roll it away until I’m ready to do some more on it, as otherwise it really would never get finished. It is fantastic! When I was sorting out a few bits under our spare bed I came across a jigsaw puzzle that we hadn’t done before, and I honestly have no idea where it came from! 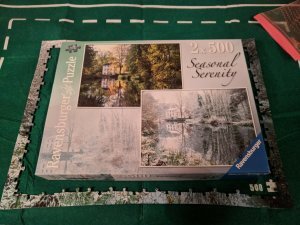 But it was 500 pieces, in fact there were two in the box, both 500 pieces, so I thought it would be a good idea to get it started, and another task ticked off my list. 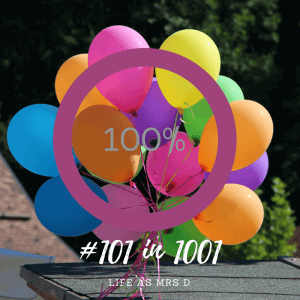 I don’t think I chose the easiest of jigsaws to do, especially as it had been so long since I’d done one, and I would be doing it in the evenings once Isla had gone to bed. Not a wide variation of colours in there to help out! Chris laughed at me on several occasions as I became increasingly frustrated with how “impossible” this jigsaw puzzle was! 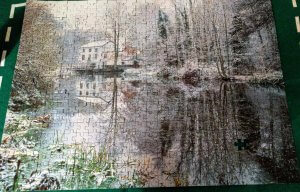 In the end it took me just 21 days to finish the jigsaw puzzle, and that included us going away for a weekend or two, and having visitors. 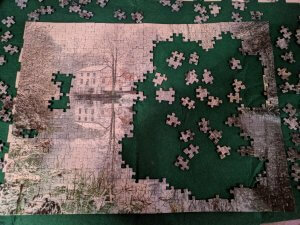 The only thing I am annoyed at is that I finally got to the end, only to find out that there was a piece missing! 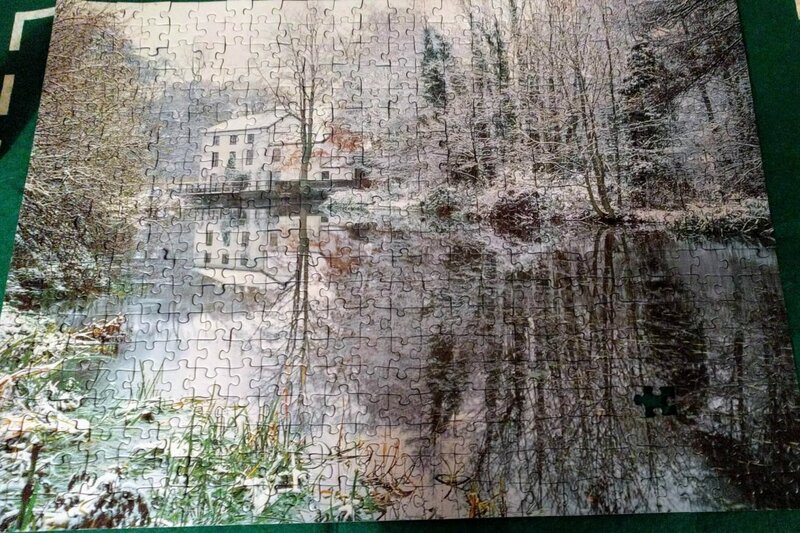 Although my aim was to complete a jigsaw puzzle that was 500+ pieces, this one turned out to be only 499 pieces, but I am still counting it, and ticking it off my list!